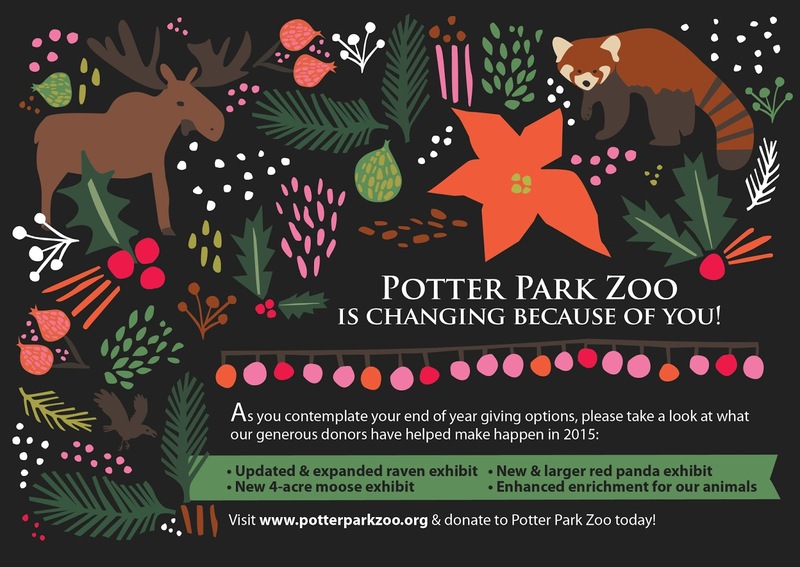 I've been having fun playing around with digital illustration and patterns as seen in this ad art for Potter Park Zoo. Brooke from Michigan recently restyled her bedroom. Included in the upgrades was a chunk of art by me! 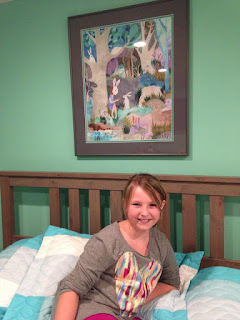 Featured here is lovely Brooke with my piece (now her piece) "Faux Fur" hanging above her bed. I hope it leads to exciting dreams. If you're ready to make some arty changes to your home sweet home or looking for unique holiday gifts, check out my online prints gallery. Neighborhood shoppers can also stop by Lansing Art Gallery. 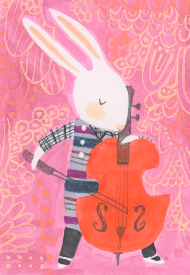 Cello from the Band Geeks series will be showing at Lansing Art Gallery this holiday season. 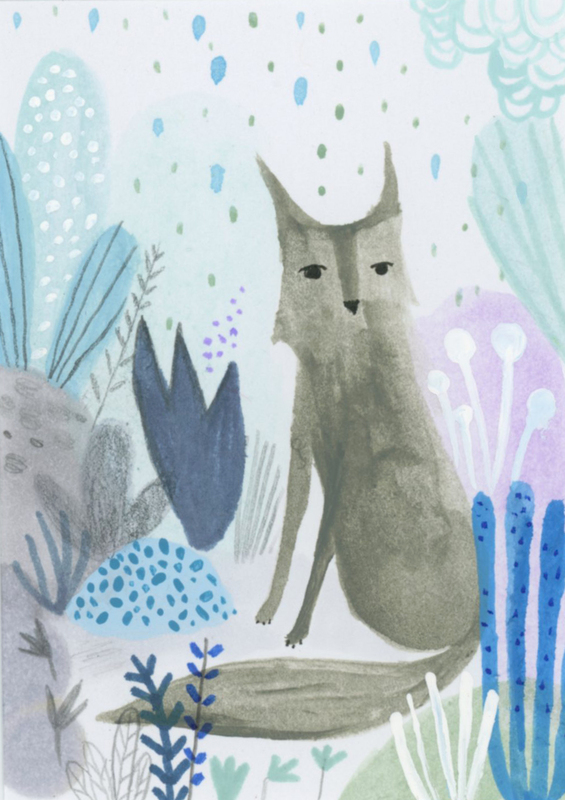 At 2.5 x 3.5 this little piece of original illustration makes for a great stocking stuffer! Next Tuesday you can visit these brand spankin' new minis at Lansing Art Gallery! I guess Halloween really is over... 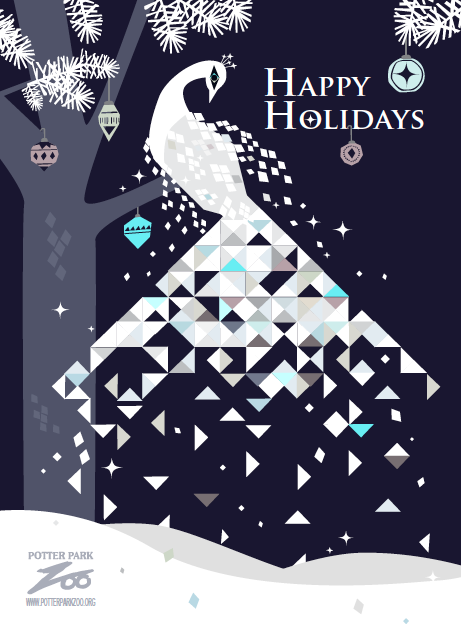 Which means it's time for me to put together the digital illustration & layout for Potter Park Zoo's upcoming holiday card. Speaking of winter & zoos... 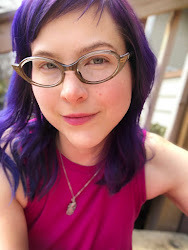 I hear zoo memberships make great gifts for adventure seekers.